A treat for the skin. If you only have just five minutes for a quick skincare routine before you hit the sack at night after a long day, try this. When I’m too tired to go through my entire routine, this works as a facial massage oil, serum and moisturiser. Just three pumps is enough for my entire face and decolletage. The facial massage oil is packed with antioxidants and vitamins, and has a fruity fragrance. It has a watery texture but still leaves a thin oily film on the skin so I would recommend that you only use this at night. The slickness makes it perfect as a massage oil, so that you can drain your lymph nodes, lift facial contours and reduce the appearance of eye bags. 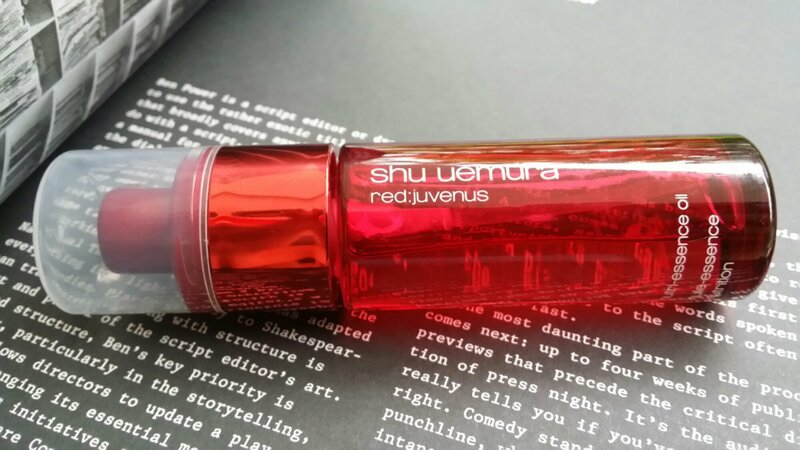 Here’s a screen grab of the special massage techniques Shu Uemura came up with to boost the effectiveness of the oil. The oil works well to protect the skin against the drying effects of the air-conditioning too. Although I find that I can only use this about twice a week, or my skin reacts to the oily texture and I have little red bumps on my T-zone. And by the way, the oil is colourless if you’re wndering; it just comes in a red tinted glass bottle.